Please note that AutoCad software, Vtablet Drivers, and Digitizer connection and configuration is the responsibility of the customer. Limited technical support is available from the manufacturer of the digitizer as we can recommend you to them if necessary. We do not provide technical support for any software. Please be aware this product may not work with your brand and version of CAD software. If in doubt, we recommend contacting the manufacturer of the digitizer prior to making a digitizer purchase. Designed for demanding CAD, GIS, engineering, textile and apparel applications, the Drawing Board VI series is the design professionals choice in large-format digitizers and graphic tablets. Drawing Board VI systems now feature integrated USB and RS-232 Serial connections. When connected via USB, no power supply is required simplifying setup and operation. DrawingBoard VI digitizers utilize the same Advanced Function Technology that has set the world standard for performance. Internally, these high performance tools are engineered with a state-of-the-art positioning grid to ensure reliability, performance and quality. Multiple accuracy versions are available to match specific system requirements and an integrated mounting channel allows accessories, such as a pen tray, to be easily and quickly mounted. DrawingBoard VI digitizers also work with a variety of cursors and stylus pens. Each pointing device offers a number of programmable buttons. By assigning specific program functions to these buttons, you'll increase efficiency and improve production times. 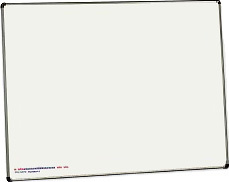 Drawing Board VI small-format digitizers feature a recessed menu area, and a clear overlay that holds templates and menus in place. When used with a menu, these tablets significantly enhance user productivity by consolidating multiple mouse selections into a single point-and-click action. DrawingBoard VI tablets and digitizers offer unparalleled features and performance no matter what your application. GTCO Calcomp Tabletworks driver CD.